In lieu of a whiskey review this Friday, I’d like to share some of the results of a fun outing with a friend to hear a veteran of the American whiskey industry. 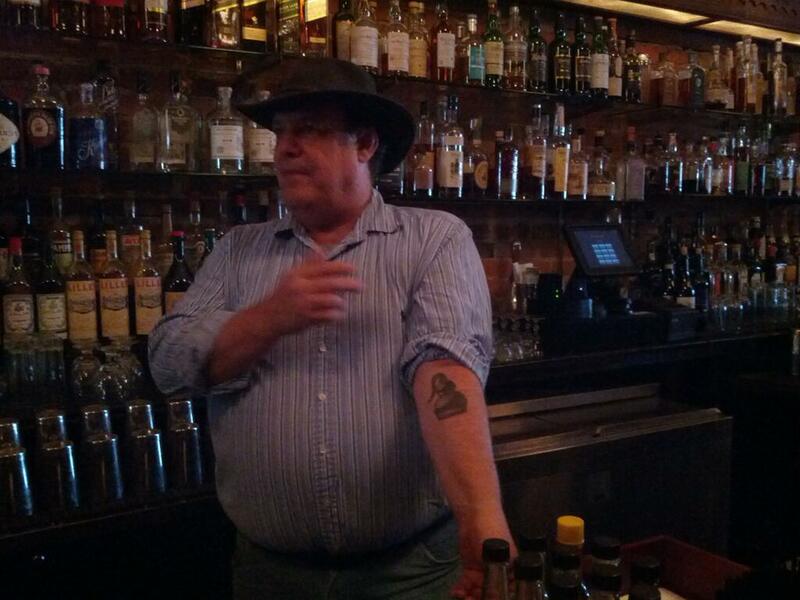 Wednesday afternoon I received a text message from Amy of Bonne Amie Knits reminding me that Dave Pickerell (Maker’s Mark Master Distiller for 14 years) was making an appearance at The Sugar House, a cocktail bar in Detroit, that evening. If I ever knew about it I had completely forgotten, so I stuffed my mouth full of my dinner and we made our way down as soon as we could. The drink special that night was $3 shots of Maker’s and $4 shots of Maker’s 46 which was a damn good deal so I had a few. Dave spoke and took questions for about two hours. He told stories and talked about his time at Maker’s and his time since 2008 acting as a consultant and Master Distiller at Whistle Pig, George Washington’s Distillery at Mt. Vernon and Hillrock Estate. Amy scored points when she asked what it was like working with George Washington. I tried to get Dave to reveal the source of WhistlePig but he didn’t fall for it (I’m still going with Alberta). I also asked him if he had thoughts on the Maker’s Mark proof reduction fiasco, and he did. He was in town doing some work with the Two James distillery in the Corktown area of Detroit (near where Tiger Stadium used to be, and a few blocks from the bar). -Dave won the Kentucky Bourbon Festival cocktail contest three years in a row, but the first cocktail he invented turned out to be an old cocktail that already had its own name, The Ward Eight. The third one he invented was supposed to be a cross between an Old Fashioned and a Manhattan. When Gary Regan tasted it, he said it wasn’t an old fashioned or a Manhattan but it was good anyway. He named it the Pickerell, but Dave had nothing to do with that since he doesn’t like to put his name on things. -The bulk whiskey market (excess aged whiskey distillers will sell when they need to have it) is the tightest he’s even seen. The oldest whiskey available on the bulk/spot market is 15 months old. Basically, there is none to be had. -Dave used to be a big stickler on drinking his bourbon neat but while working at Maker’s he came to the conclusion nobody has the right to tell anybody how they should drink their bourbon. -He slowly sipped on a Maker’s sour while he was talking. -Dave thinks the microdistillers are driving innovation right now. This is because they aren’t as constrained by the need to sell thousands of cases of a product to make it successful like the big producers are. For many micros, 100 cases sold of any product counts as a success. This means the costs of experimentation are much lower. -He had never worked with rye before working at Mt. Vernon. The first time he made a batch there he noticed a little foam was forming on top while the rye was fermenting. So he put a sheet of plastic over the top of the fermenter and put a couple pieces of wood and a brick on top before he left the distillery for the day. The next morning when he walked into the room where the fermenter was the brick and wood were on the floor as was a two foot layer of foam. They lost that batch. -The mix of whiskey from all the Kentucky distilleries Mt. Vernon released tasted terrible. -The Mt. Vernon Rye currently being released is distilled at Hillrock in New York because it’s easier to do it in a more modern facility. The working conditions are pretty primitive at Mt. Vernon. -Hillrock is currently making the world’s first ever Solera aged bourbon. -He didn’t know Elmer T. Lee well but said he was a gentleman and active at BT practically until the day he died. He had a greater impact on the bourbon industry than anybody else in his lifetime. -He thinks BT should change the proof of ETL to 93 in honor of Elmer’s age when he passed away. -Jimmy Russell is a good friend of Dave’s and has been a mentor to him throughout his career. -Jimmy taught him the importance of pausing for a photo op (see below). -Bill Samuels Jr. is one of the most brilliant men he’s ever met. -Bill knows next to nothing about making bourbon but is a masterful marketer. -Before Dave worked at Maker’s he worked at an engineering firm that did some work for Maker’s. Dave didn’t like the way the way the company handled the business with Maker’s and told Maker’s about what happened. Later when Dave was in Loretto, Bill came up to him and said, “Did you know we are currently looking for a new Master Distiller?” Dave said, “No.” Bill said, “We are plum out of candidates and we didn’t like any of them. We like you, though. The job is yours if you want it.” He accepted and the next day told his former boss he was quitting and also that Maker’s was no longer going to be using that company’s services. -He said the MM shortage is very real. He thinks the proof change was the right move to make and he is disappointed that they caved to public pressure. In his opinion the problem is not capacity but the surprising growth of the brand in the midst of a deep recession. Nobody expected that and so nobody planned on increasing production to meet that growth. -He predicts that since the proof change was rolled back there will be “rolling shortages” of MM around the world. After the formal talk was over he milled around for a while, chatting with the bar patrons and a couple old friends who showed up from Allied Domecq, former owner of Maker’s Mark (the company was acquired by Pernod-Ricard in 2005 with Maker’s being sold off to Beam). Amy and I stayed at the bar and had a nice chat with Pete from Two James. They have a lot of exciting things planned including a vodka, gin and a Madeira finished bourbon. 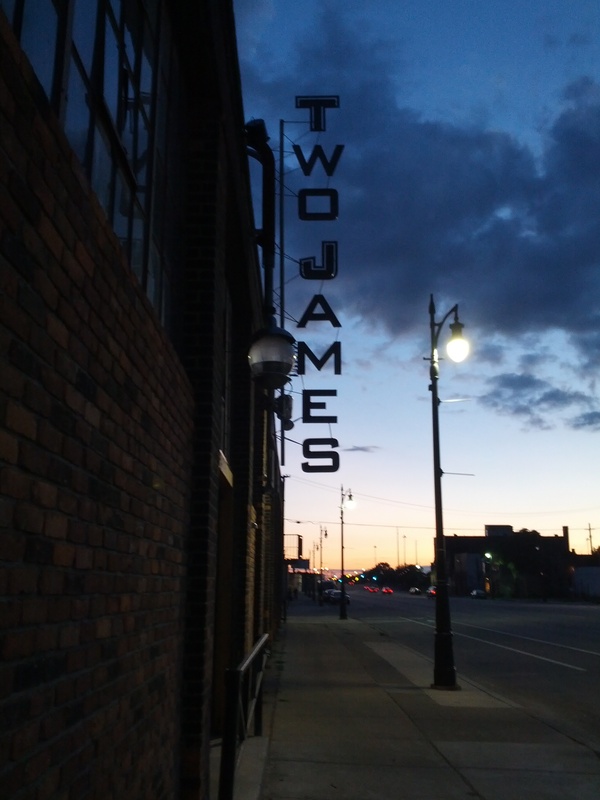 After we were done at the bar we took a stroll down Michigan Avenue and took a look at Two James. Previous Post Au revoir et bon jour!! Nice writeup! 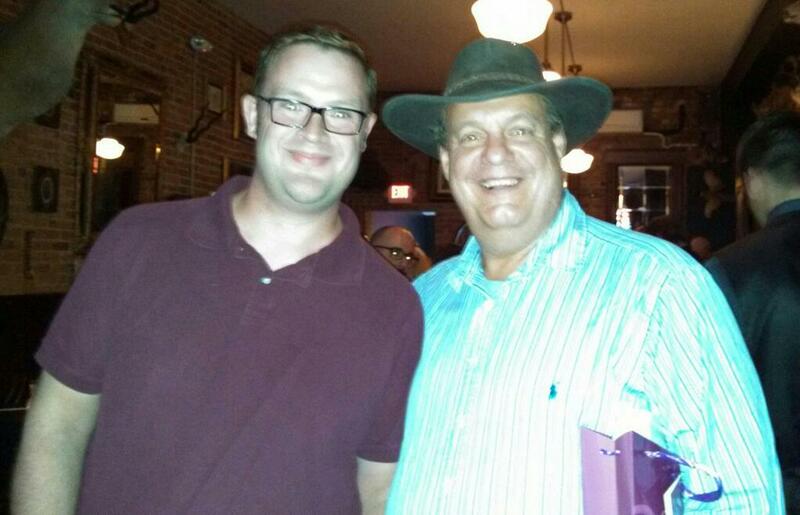 I’d love to question Dave more about Solera process and definition of bourbon. We all know that to be bourbon it has to enter a new charred oak barrel and the be straight bourbon and it has to spend 2 years in such barrel. Hillrock product is to be a straight bourbon. The solera process involves transferring spirit to progressive older and older barrels. I don’t see how those barrels can still be considered new. That’s an interesting question. I have no clue. I hope a reader of this blog will ask him that if they see him! When he mentioned Hillrock’s solera process I did ask him about Jacob’s Well which I thought was made with a similar process. He replied that JW wasn’t made that way and then answered a different question.